I began making these for my son when he was just over four. He was ready to start practicing writing letters, but traditional handwriting pages were too much for him. My younger son began doing them about a month before he turned three. My original plan was to share these as we go through the alphabet – but many of you have requested the entire set, so I finished the upper case alphabet and am posting it before we complete our Letter of the Week. Please pin and share! Good news! The lower case alphabet is now complete. I’ve got the numbers done too! I noticed there is not a lowercase letter c. Is there anywhere that I can get that one. I am a pre-k teacher and wanted to be able to print all of them. Thank you so much for your post. All of them are awesome!!! Sorry for the delay in responding, Abby – but I have a good excuse. I had a baby on Sunday :). I’ve added the letter c now. So glad you can use these! These are great! My husband printed the pages for our preschooler and he loves them. Do you happen to know where I could find numbers? Congrats on the new baby too! I don’t have the numbers done, but that is something I could do pretty easily. I’ll put it on my to do list and try to get to it in the next few weeks. I’m finding it very difficult to have time to create printables with a new baby in the house — but I’ll hopefully get to to it soon! I don’t have the numbers done, but that is something I could do pretty easily. I’ll put it on my to do list and try to get to it in the next few weeks. I’m finding it very difficult to have time to create printables with a new baby in the house — but I’ll hopefully get to it soon! The numbers are done now, Christianna! Thanks so much, Lauren! We’re enjoying our baby girl very much — she’s the star of the house! Have you thought of making a big pack with all the letters in one download? Hi! I teach children with severe/profound multiple disabilities. These are wonderful. Have you thought of making them available in a complete letter or number set? I want them all! So glad you can use them, Krishna! You might want to download the files all at once instead of individually. 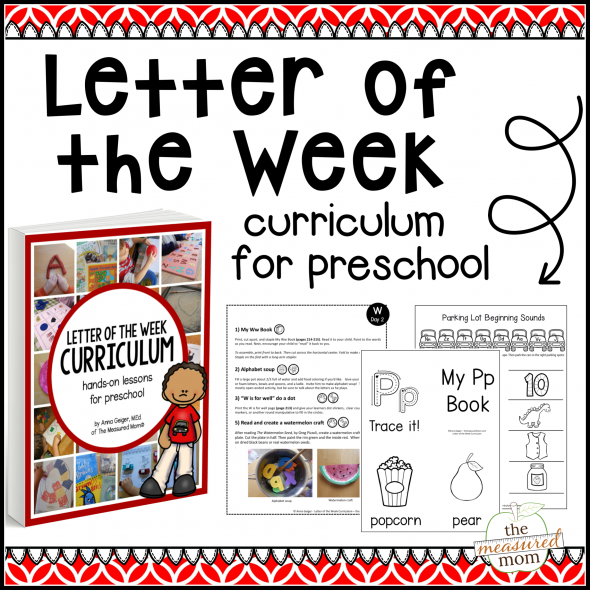 You can find them in three places: https://www.themeasuredmom.com/free-handwriting-worksheets-for-preschool/, https://www.themeasuredmom.com/free-handwriting-pages-for-preschoolers-letters-sizes-lower-case/, and https://www.themeasuredmom.com/free-handwriting-pages-writing-numbers-3-levels/. These printables are great Im just about to print them for my three year old. I was just wondering what program you used to make them and what font, beacaus we live in Norway so we also uses the letters Æ, Ø, Å and I would love to make something similar for those letters. 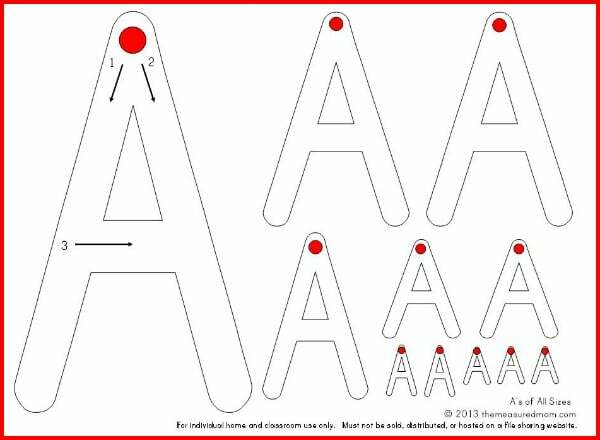 I am actually going to laminate them with a picture representing the letters on the back, this way they can be used over and over again. I think I used a combination of Print Bold (part of a set with Print Clearly and Print Dashed) and Primer Print, both of which you can get for free online if you hunt for them. I’ve also used KG Primary Penmanship, which is free for personal use. Now I’ll try to make a copy of yours. I wish you a great Saturday! My daughter loves these! Is there any way you could make a review page with all of the letters on 1 page (so the tiny size)? We’d love that! That’s a neat idea, Amy, but I’m afraid my schedule doesn’t allow for it right now. Maybe some day! How can I print these off? These letter/number sheets are amazing! Thank you so much for sharing! These are wonderful. They look perfect for my son, but I keep getting a pdf error. Is anyone else having issues downloading? Thank you so much! I switched to Chrome and it worked perfectly! the links are not working. 🙁 would love to use these.